Cardiorespiratory fitness -- together with muscular strength, muscle endurance, flexibility and body composition -- make up the five essential components of physical fitness. Often referred to as cardio, endurance or aerobic exercise, cardiorespiratory activity relies on your body's ability to provide your muscles with enough oxygen to carry out sustained exercise. In addition to helping manage your weight, engaging in cardio offers major benefits. When you perform cardiorespiratory activity, your heart, lungs and circulatory system work hard to deliver oxygen-rich blood to your muscles. You can choose from a wide variety of cardio programs. Swimming, biking, running, stair climbing, circuit training and interval training all fall under the cardio category. Choosing something that you enjoy doing helps you stick to the program. Taking dance classes or joining group aerobic programs are examples of fun ways to improve your cardiorespiratory fitness. Even if you're at a healthy weight, cardiorespiratory fitness is crucial to your overall health. Researchers at the Cooper Institute for Aerobics Research in Dallas, Texas examined the effect of cardio fitness on all-cause mortality and published the results in the March 1999 issue of the "American Journal of Clinical Nutrition." The study found that lean men with low cardio fitness were twice as likely to die from all causes than lean, cardio-fit men. Researchers at the William Beaumont Hospital in Royal Oak, Michigan published a review of the health benefits of cardiorespiratory fitness in the journal "Mayo Clinic Proceedings." Peter A. McCullough, and his colleague Barry A. Franklin, confirmed that a lack of aerobic fitness elicits adverse metabolic changes that can lead to type 2 Diabetes. The pair maintains that engaging in regular cardiorespiratory activity improves insulin sensitivity and glucose regulation, which decreases your risk for type 2 diabetes. 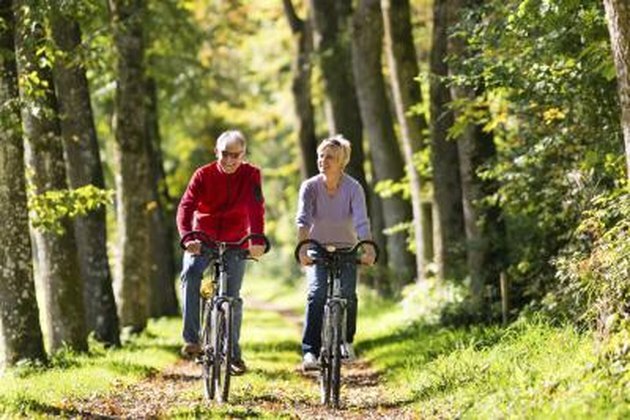 Regularly engaging in a cardiorespiratory program provides a host of other health benefits. It protects you against cardiovascular disease, increases your bone density, lowers cholesterol, reduces blood pressure and improves sleep quality. As a general rule, engage in at least 150 minutes of moderate-intensity cardiorespiratory activity each week. You can divide this into five 30-minute sessions.